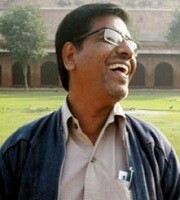 Nazir is a poet in his own right and has published a book of poems entitled Mamallapuram and Other Poems. With the publication of Ainkurunuru, an anthology of 500 short love poems of classical Tamil, he has also proved himself to be a translator of repute. His poems have appeared in Indian Literature (Sahitya Akademi’s bimonthly journal), Reading Hour and nthposition. 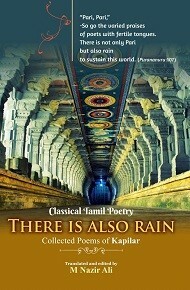 He has written reviews of classical Tamil translations to Transfire, a literary quarterly. He runs a blog for poetry and translation at nazirali.wordpress.com. He is at present working as Associate Professor of English, Kanchi Mamunivar Centre for PG Studies, Pondicherry.